The film, Steve Jobs was not on my ‘must see’ list of recent theater visits. My spouse had an interest in seeing this movie, so of course I tagged along to find out what was so special. Most of the time she picks out excellent ones. As for Steve Jobs, she missed her mark slightly, but it was not all bad. This review explains it. Unless you have been living under a rock your whole life, it’s safe to assume you know the company Apple. And with Apple Inc., I’m sure you heard of co-founder, Steve Jobs. This film is based on the biography of Steve Jobs and his road to success. During his travels, Mr. Jobs had troubling times which was no easy feat to achieve his accomplishments. Steve Jobs takes place with the unveiling of the first Macintosh in 1984. The highly anticipated Apple Inc. news lead by it’s co-founders, Steve Jobs (Michael Fassbender) and Steve Wozniak (Seth Rogen) were on the edge of something special. Not everything went as planned as the sales fell short of prediction and Mr. Jobs found himself fired. Eventually, he then started working on his NeXT Inc. project with a hidden agenda. Along his path, the story depicts the personal life of Steve Jobs and his issues involving his ex-girlfriend Chrisann Brennan (Katherine Waterston) and their daughter Lisa. As things unfold, Jobs finds himself back at Apple leading the charge once again. His influence revolutionizes the industry as the team is ready to unveil the new iMac. For me, the Steve Jobs film enlightened me about his life, the type of person he was and the role he played in the success of Apple Inc. It was very interesting to find out Steve Jobs was actually a kind of self-centered jerk. But most rich people don’t achieve their riches by being nice, usually people get stepped on along the way. Aside from this, I felt it was rather disappointing to see this side of Jobs. One down fall for this film was the setting seemed to takes place mostly behind stage before an unveiling. The only time things were shown differently were during flashbacks. 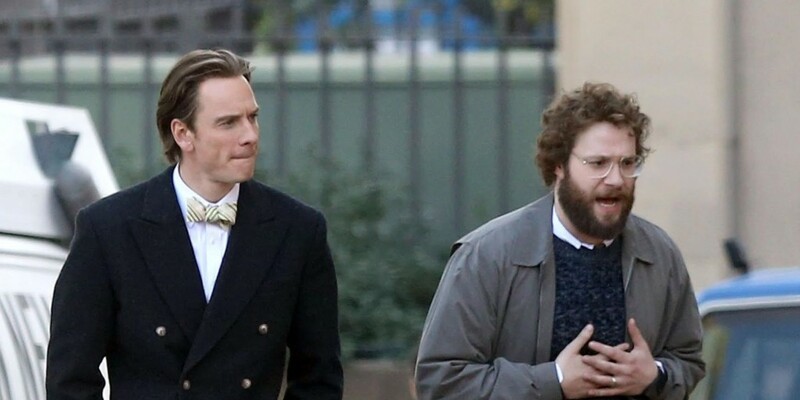 Michael Fassbender does a great job in filling the shoes of Steve Jobs. At times, I truly believed I was watching the actual man himself. Another stellar performance came from Kate Winslet in her supporting role as Mr. Jobs personal assistant. The film is directed by Danny Boyle with music composed by Daniel Pemberton and runs 2h 2m. My recommendation would be to see this film, but I’m not so sure going to the theater is the best option on this one. Save the money and rent it later, Steve Jobs is still entertaining and a decent film for date night.